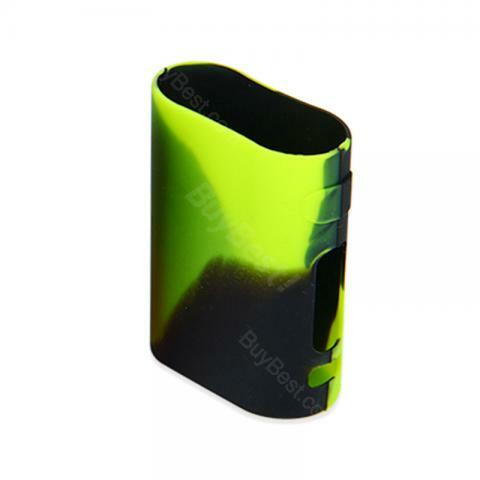 Vapesoon Silicone Case for Eleaf Pico, is made of high quality silicone rubber. It feels good in hand and will provide a good protection for your Pico. 9 colors are available. • It's for Eleaf Pico. First and foremost, Eleaf has changed the physical design of this mod with no notice of the update in physical character. I purchased a a eleaf mod december of 2017, it just broke a week ago, may of 2018, and i reordered the exact same mod thru thr exact same website, and this new mod fits this sleeve perfectly. My mod i bought in December, that version was slightly larger than this case,which i bought a few weeks ago. So just a forwarning out there, if you bought your I Stick Pico before April of 2018, id be wary of buying this, if you bought it after April, youre in the clear. Vapesoon Silicone Case for Eleaf Pico made of silicone material. Compatible with Eleaf istick pico 75w Mod. It is a decorative Protection Band/Cover/Bag.